Winner of Short Film Competition! Belmaya's film Educate Our Daughters has won the Short Film Competition at the UK Asian Film Festival! She's had a stunning trip to the UK, full of excitement and warm support from everyone she's met. Here she is, radiant at the Closing Gala Awards Night at Bafta. UK Asian Film Festival selection! Continue reading "UK Asian Film Festival selection!" Continue reading "First film festival award!" 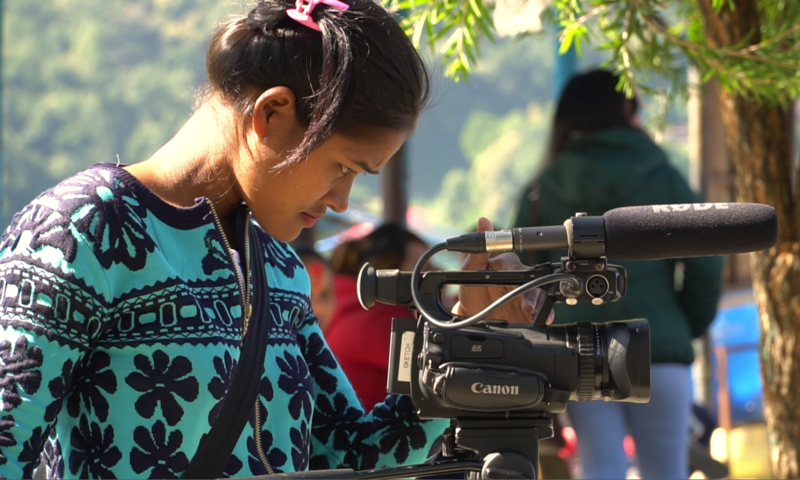 Continue reading "Toronto Reel Asian International Film Festival"
Continue reading "More laurels for Belmaya"
Belmaya's story has sparked the imagination of both the filmmaking and media community in Nepal. Here is the latest article about her, in Republica, the national English-language daily newspaper. Belmaya is in Kantipur, Nepal's leading national newspaper. I can't read Nepali, and Google Translate makes the wildest of stabs at it. (Belmaya's film Educate Our Daughters comes out as The Aggressive Daughters!) But judging by the comments on journalist Deepak Pariyar's Facebook page, Belmaya's story comes over as 'heart-touching' and inspiring. Continue reading "Screening success at KIMFF"